I love putting up my Christmas decor every year. 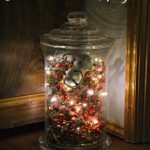 I have a few locations where I put a bunch of decor and then a few odds and ends that are spread around the house. I managed to get everything put out in a couple days which was actually quite amazing (normally the boxes sit out for a good week). 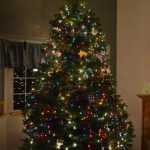 One of these years I will get a tree that touches our ceiling, but this year I found a Nordman fir that was gorgeous (and about 10 feet tall). Normally we get a Noble Fir because it is strong enough to hold my heavy ornaments. The only thing I wish was that it had a stronger scent. When Brad and I got married, our apartment had an ugly brick fireplace. My dad built a mantle to go around it. 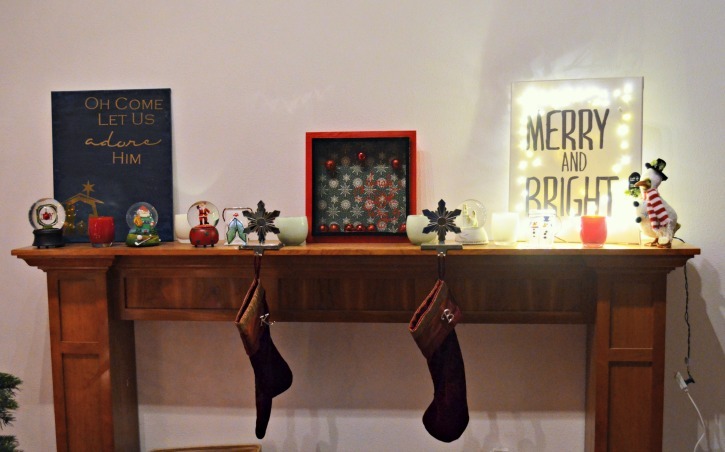 When we moved into our house we took the mantle with us and had him shorten it so that it became a perfect drink ledge for the pool table (which we have since sold). Our fireplace is in the other living room but this mantle is perfect for Christmas decor. 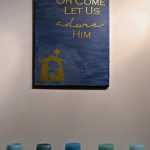 See how I made the Oh Come Let Us Adore Him Canvas, Shadow Box, and Merry & Bright Sign. 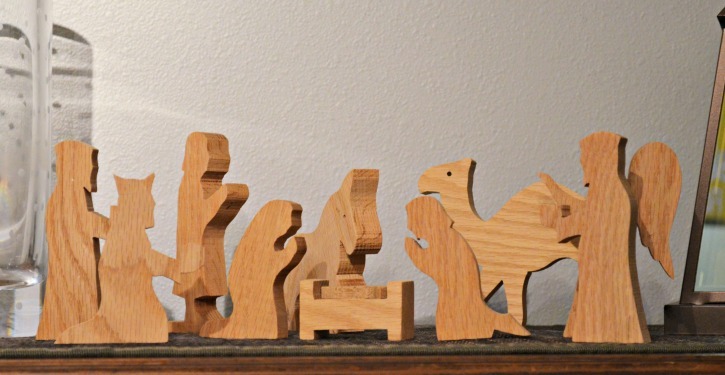 I remember when I was in elementary school my dad made wooden nativity sets. When my grandma passed, I inherited her set. This year I put it on top my piano. 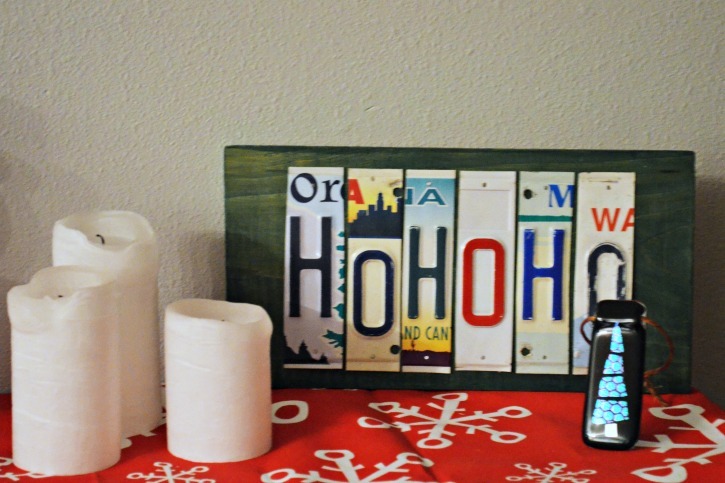 A couple years ago my mom gave me this HOHOHO sign for Christmas. 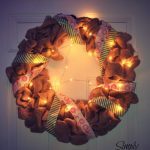 Do you have any decor that you put out every year? 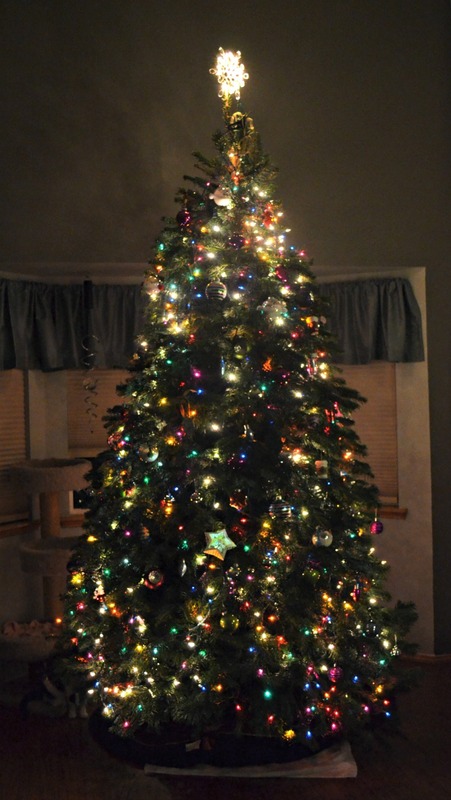 When do you decorate for Christmas? Yep I decorate every year. And It think there is Christmas in every room in the house LOL And the front yard and the front porch. We start the day after Thanksgiving usually.